Movies releasing this week : Finally, the wait is going to be over for all the dearest fans of Salman Khan on this Friday, Bollywood is all geared for the much awaited and hyped release of Jai Ho. The movie is a social action drama which will see Salman Khan back on the silver screen after 14 months. Last time seen in Dabangg 2 which released on December 21. 2012. It is directed by Sohail Khan and produced Sanjay Lulia and Sohail Khan while presented under the banner of Eros International and Sohail Khan Films. The movie features Salman Khan, Daisy Shah, Tabu, and Danny in main leads. Sana Khan, Yash Tonk, Ashmit Patel, Bruna Abdullah, Nadira Babbar and Mohnish Bahl will appear in supporting roles. The movie is a remake of Tamil Blockbuster Stalin which had Chiranjeevi in main lead. It is releasing on 4500+ screens across India. All previous movies (Dabangg, Ready, Bodygaurd, Ek Tha Tiger, Dabangg 2) of Salman have crossed the 100 Crore mark but the 200 Crore mark is eluding him. So will it happen this time? Let’s see. The year has started on a dismal note for Bollywood with no film except Yaariyan has clicked so far. Therefore, Jai Ho has great expectations. So, Will Jai Ho also bring similar wonders at box office which Chennai Express and Dhoom 3 did? 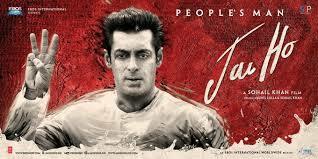 What is your take on Jai Ho? Tell us by commenting. Very well written. I agree with you. 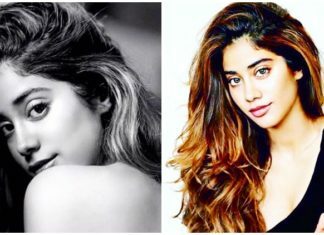 Salman definitely has something going in his favor. I do not think you can really compare 2 great actors side by side because they each bring their own X factor into the the mix. You might not agree that Salman is a good actor but I beg to differ.